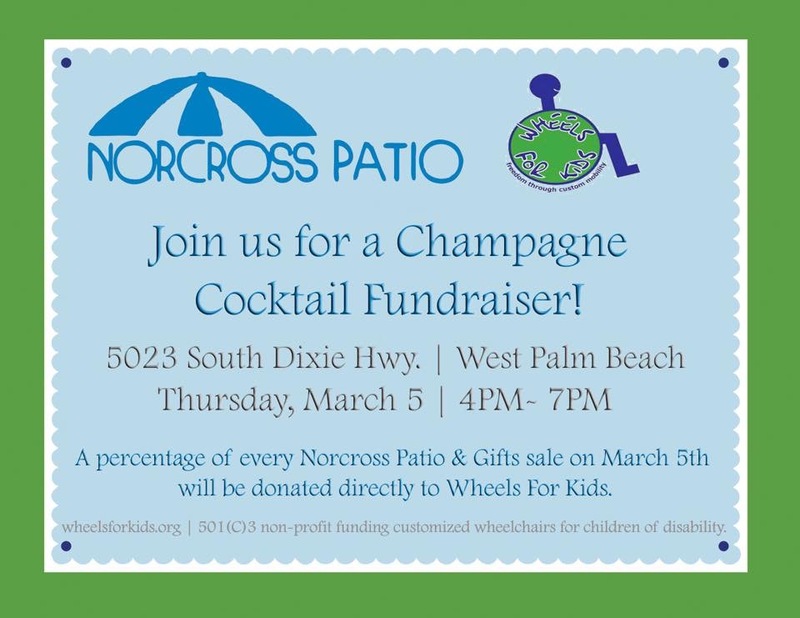 Don’t miss this chance to check out Norcross Patio’s new Spring additions and support a very worthy cause…. Founded by Denise Roeser in 2003 in honor of her daughter, Ashlee, who has Cerebral Palsy (CP), Wheels for Kids was created in the belief that working parents should not have to give up their livelihoods to give their child the most healthy and independent life possible. The Organization’s ultimate goal is to make sure every child who needs a custom-made mobility device receives one from Wheels for Kids after exhausting all other sources.